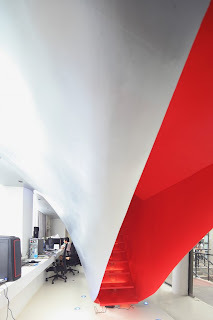 The Taranta studios by Taranta Creations is a beautiful mix of modern design and innovative architecture. 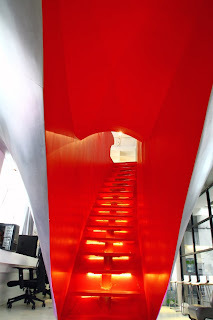 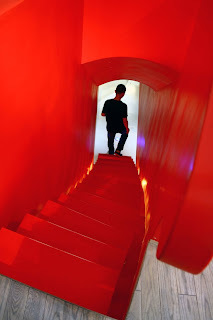 Renovated from an old metal factory, it retains some of its former elements but is refreshed with its organic, womblike structures, especially the vibrant red staircase and the cosy workstations. 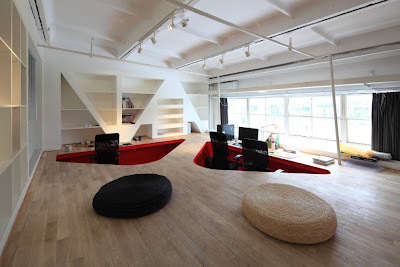 I think the design is wonderful and also love the interior furnishings! 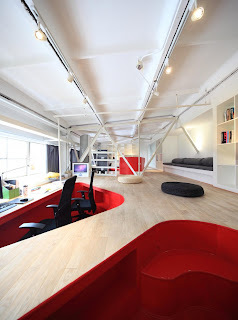 Would love to work somewhere like this!